I've made a few innovations to add more excitement to an already delicious dish. I've made the minced pork filling with chorizo instead of potatoes for a Hispanic twist and used sultanas instead of raisins. Redcurrant jelly added at the end gave it a sweet tangy flavour. 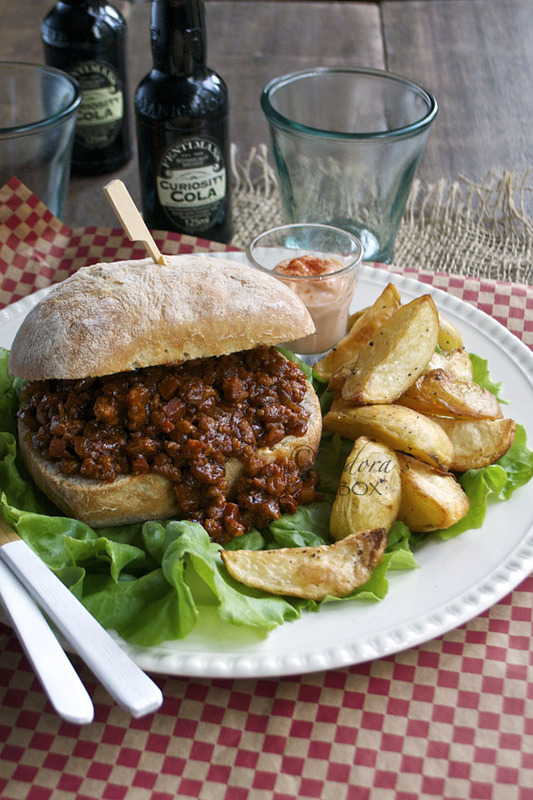 It has a bolder flavour than sloppy Joe so I served it on rustic bread rolls instead of soft buns. 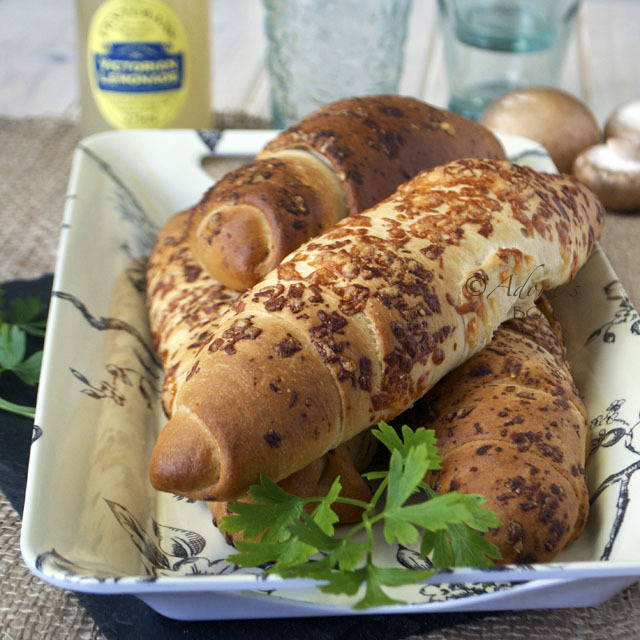 Ciabata or panini would be good substitutes. 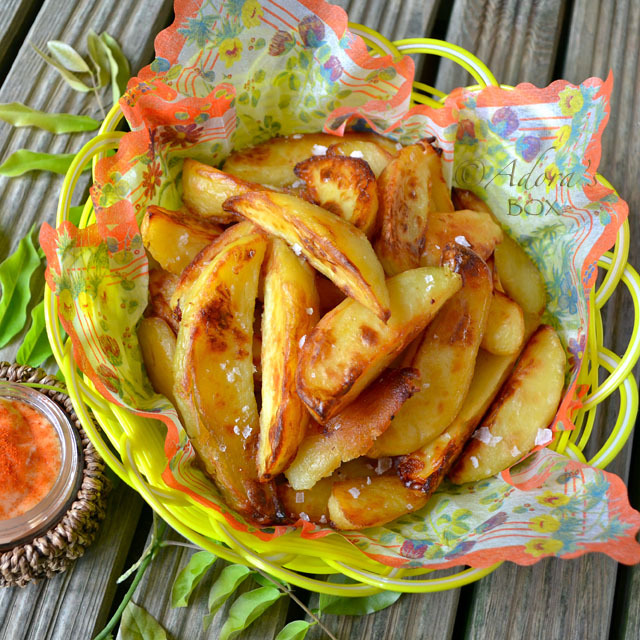 To continue the Hispanic theme, patatas bravas (the Spanish tapas staple of fried potatoes with a spicy dressing) is served on the side. Together, the two dishes make a such a delicious and satisfying meal. Saute the garlic and onions in the 2 tbsps. of olive oil until the onions are soft and translucent. Add the minced pork, chorizo and paprika. Saute until the pork is browned and the mixture is dry. Add the rest of the ingredients, except for the corn flour slurry, and simmer for 20 minutes. You have to watch this and stir occasionally. It tends to catch because of the sugar and the sultanas. You may add more water, 1/2 c. at a time, stirring well to deglaze the pan each time. A caramelized sauce is what we are aiming for so don't add too much liquid at once as it will dilute the flavour. At the end of 20 minutes, if the meat is already tender, turn the heat up to reduce the remaining sauce. Make a slurry with the water and corn flour and add to the pan while stirring. Add the redcurrant jelly if using. This only needs to come up to the boil and thicken, then its done. That looks so yummy! And the name is hilarious... At first, I thought it was a typo, but as I read on, it made perfect sense :) LOL... Thanks for sharing your recipe! OH I love it!!! What a great combination! This brings me back to my childhood! 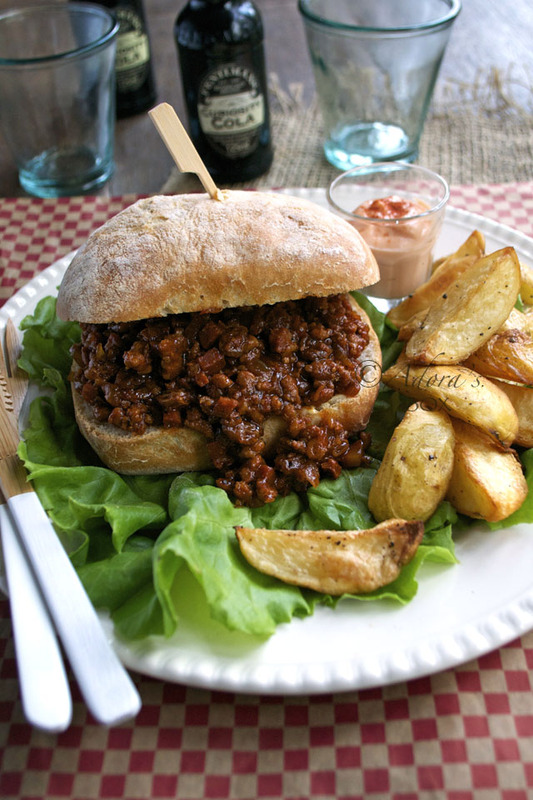 This recipe is so great for adults who crave the sloppy joe's!! But in this case Sloppy Jose! Love the name, and the dish looks wonderful too. This is amazing - too funny, since never heard of this name before but it looks SO good! Adora it is lunch time now and I am soooo hungry. Seeing your sloppy jose make me even more hungry! I love the fries and they will no doubt be really good together. As Kelly says, it is a great looking sloppy joe. 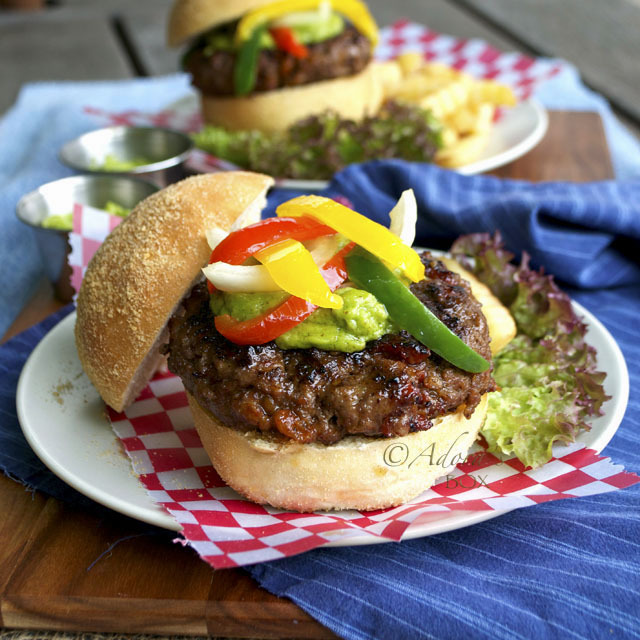 Make a great summer lunch! I can't post to your blog on Foodbuzz so I have gone into your website. 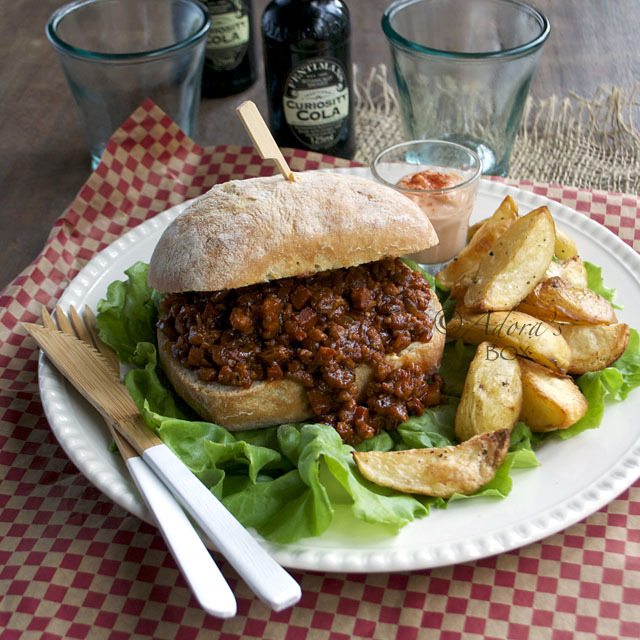 Great fusion dish here-looks a lot more flavorful than the standard sloppy joe-Yum! That's a nice variation to the sloppy joe. I like the bold flavors. It looks delicous! what a great take on a classic! I love the changes you made to this delicious sandwich,the chorizo must have made it oh so flavorful! I love the name....too cute! Looks so good... My hubby isn't a fan of American Sloppy Joes, but I just might get him to try these! Thanks! I love it! Sloppy Jose! Clever name - and it looks delicious! I particularly like the sultanas added into it! this is a WOW photo! LOL, the name Sloppy Jose made me chuckle! Such a great take on the regular Joes...and those patata bravas look delicious too, I can happily eat a plate all by myself, Adora! I like the name. Great recipe. I knew it! 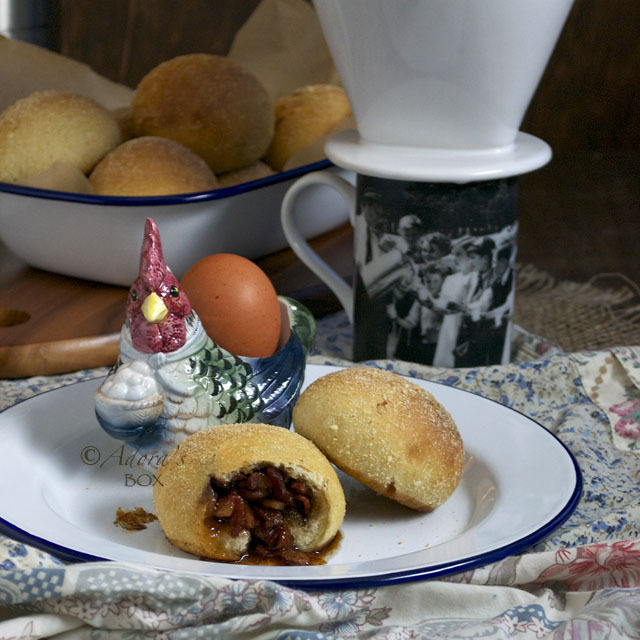 I came to your site, saw the picture, went straight to Foodbuzz Top9, BINGO! This picture is on Top 9! Congratulations Adora! HMMMM!!! This is delicious! Although I had heard about the name sloppy joe and seen some pictures, I've never had tried one before. Your Jose version looks delicious. Congrats again! looks so yummy! congrats on top 9! Congrats on top 9 for these. So yummy!